Opening April 13 for 2019 Season! Idaho’s premiere aerial adventure course featuring zip lines, nets, Tarzan swings and other fun obstacles for every age and ability. Tree To Tree’s color coded courses become progressively more difficult and are designed to challenge both the mind and body. Prepare yourself for the ultimate family adventure and explore Athol like never before! Idaho Tree to Tree Adventure Park offers aerial adventure courses! 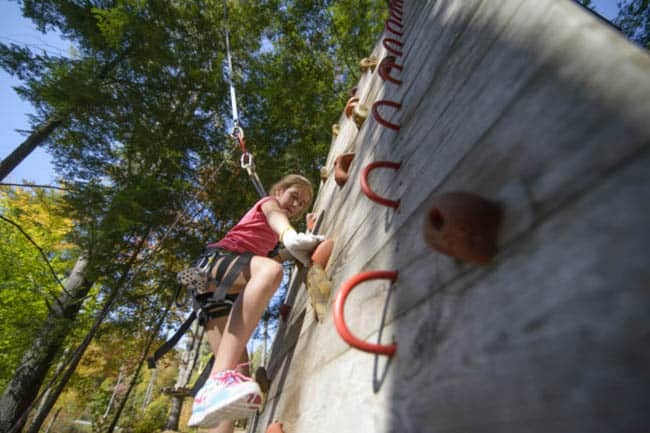 Each adventure activity is set in an obstacle course, high up in the trees! Tree to Tree Adventure Courses have different progressive difficulty levels to keep you on your toes and in the tree tops. 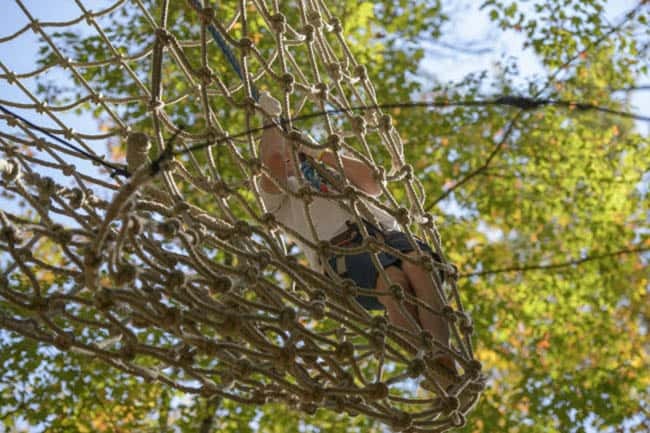 Each Adventure course has a series of unique obstacle elements such as ladders, tight ropes, balance beams, and wobbly bridges for you to conquer. Idaho Tree to Tree Adventure Park works extremely hard to deliver fun and excitement to all guests, making sure that all activities are the perfect match for you. All of our attractions require “hands-on” interaction. 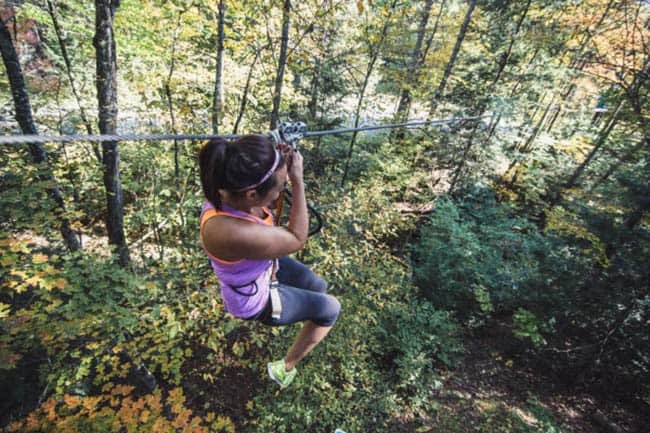 Tree to Tree Adventure Park offers over 100 aerial adventure activities divided into six color-coded courses for kids, youth and adults. Come play at Tree to Tree and enjoy the outdoors at its highest! OPENING MAY 19, 2018. CALL 208.423.8289 or BOOK ONLINE to make your reservation today! RESERVATIONS ARE REQUIRED FOR ALL VISITS. Join our insider email list to receive an exclusive invitation to our opening weekend, events and more!